So Big Think Productions has been providing audio and music services as well as production support to TheStitchTVShow.com for their YouTube show The Stitch. For the last episode I wired up the girls with the Audio Technica AT3350 Lav mics. These microphones are designed for cameras with audio in. My camera doesn’t have that. It’s an older Canon T5. So I’ve been using my Tascam DR-40. I had to get couple of the RODE VXLR adapters to convert the mini jack to XLR. 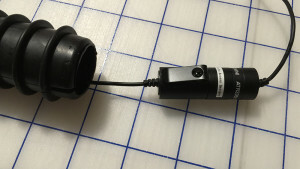 The thing that really frustrated me about the lav mics being wired was that they were always getting tangled up no matter how much care I took in winding them. There had to be a better way. There is. I give you the Tackle Buddy Spinner Holder. 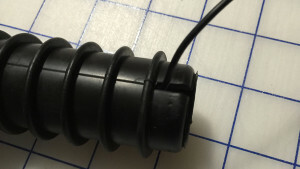 Sure they are for spinner bait that a fisherman might use to land a lunker but with a bit of modification, you can use them to store your fussy Lav Mic cables. 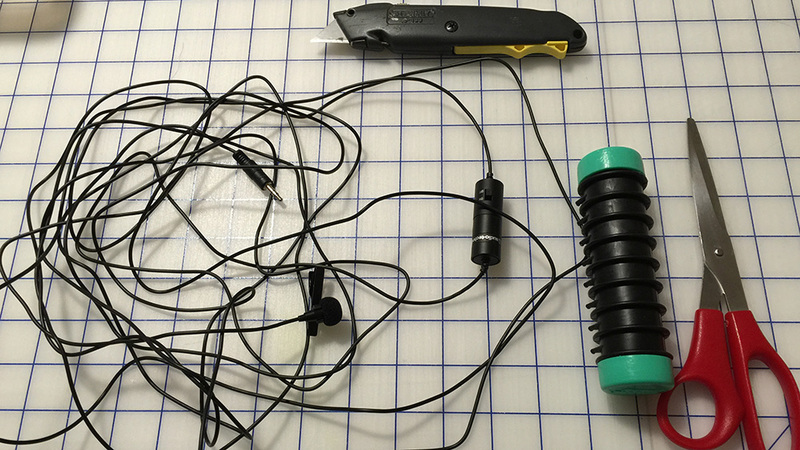 Utility Knife, Scissors, One Tackle Buddy and one Lav Mic with a cord. By the way, each square in the picture is one inch. I think the mic cable is 15 feet or so. 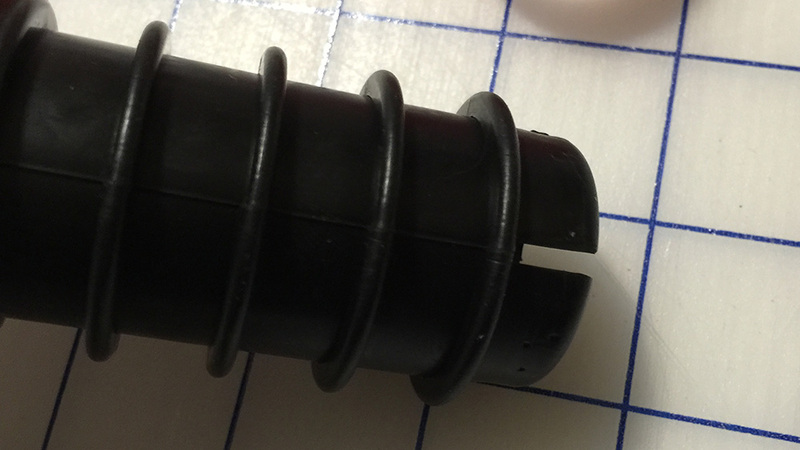 Modify the tackle buddy by cutting a slot on both ends in the black rubber container with the scissors. 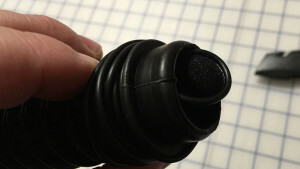 It’s a soft rubber designed to be pierced by fishing hooks. 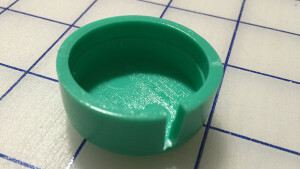 Just cut from the end to the first ring on the Tackle Buddy. Use the utility knife to make a matching slot in the caps. The plastic on these are pretty thick. Scissors are definitely a no go on this cut. The best way is to do this is to make two cuts to the top about 1/16″ apart and pull the plastic down and cut it where it is attached. Pull the cable through the Tackle Buddy to the power cell. The cool thing is the power cell will fit inside Tackle Buddy. Depending on which end you put in first you may be pulling a bit of cable through. I started with the plug end. Drop the power cell in the tackle buddy. Be sure to leave enough room on the end for the microphone. 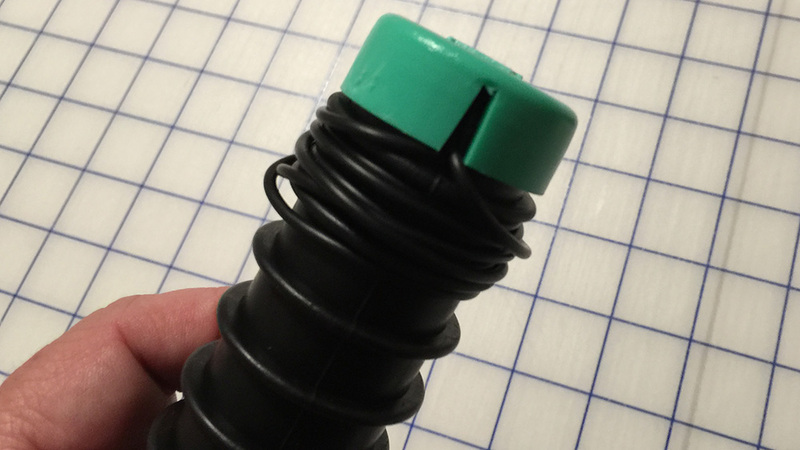 Pull the cable up through the slot and start winding. I started with the end with the microphone and just wound it on one end and left plenty of room for the longer cable end with the plug. Pull the cable through the notch to hold it in place while you wrap it. Wind it around one end. 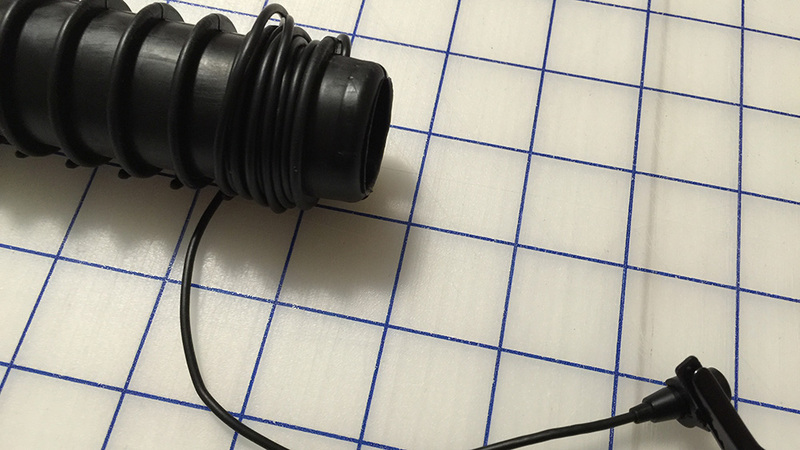 You’ll want to use most of the tube for the longer cable. Tuck the mic into the top making sure the cable isn’t crimped. Don’t want any shorts while recording. Install the cap by lining up the slots. 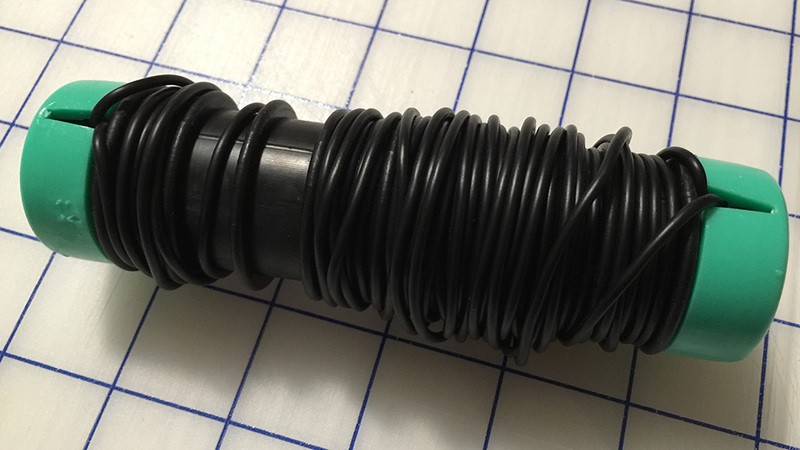 Again, make sure the cable isn’t being bent weird. 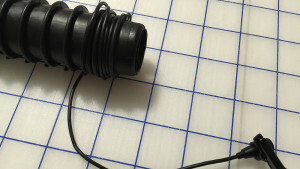 Do the same thing with the other end and you will wind up with a neatly wound Lav Mic cable that shouldn’t tangle up on you the next time you unfurl it. Do not wind the cable very tight. You could damage it. These mics work pretty well but they do seem a bit on the fragile side. As always treat them with care and this should be a good storage method to keep your cables from getting tangled like an 80’s rock star hairdo in a windstorm.